I have two favorite places: my living room and Colonial Williamsburg. One of them looks a lot better at Christmastime (well, okay, all the time), so last weekend I travelled a couple of hours south to see Virginia’s second capital in all its Christmas splendor. 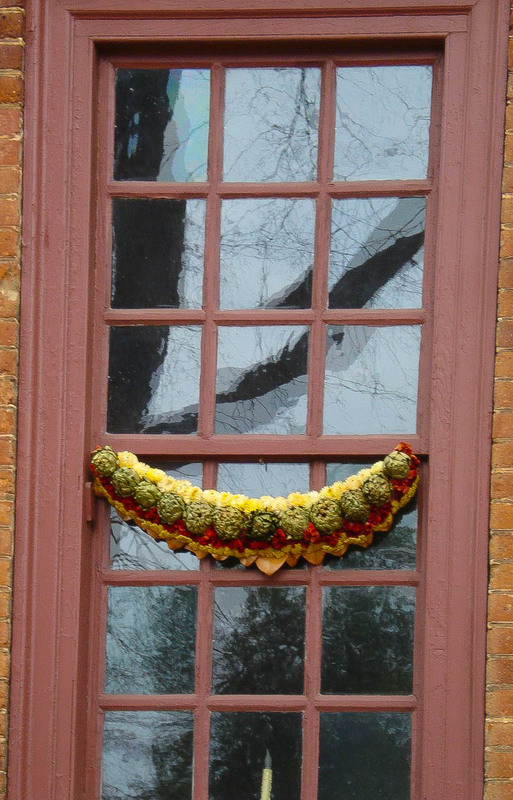 Virtually every building is decked with wreaths and window treatments–even the gaol. 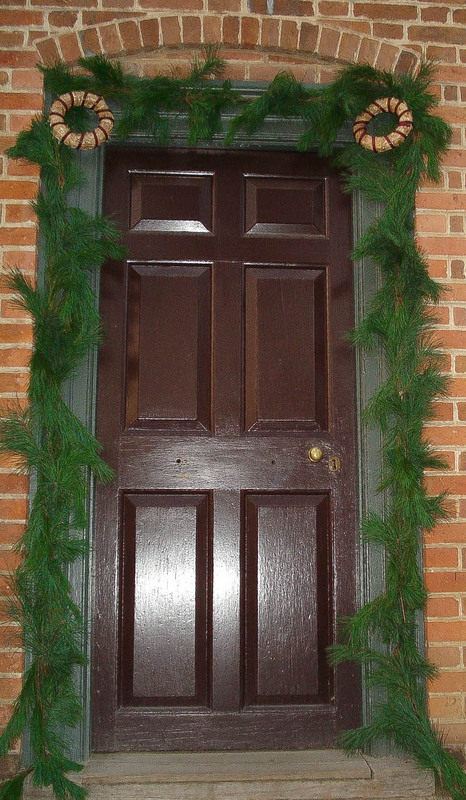 Only materials that were indigenous or imported to Virginia in the 18th century may be used in the decorations, which in many cases are more creative than their 21st-century counterparts, as an alligator-head wreath above the blacksmith shop demonstrates. Naturally, the so-called Williamsburg style, which incorporates real fruit in Christmas displays, is popular. 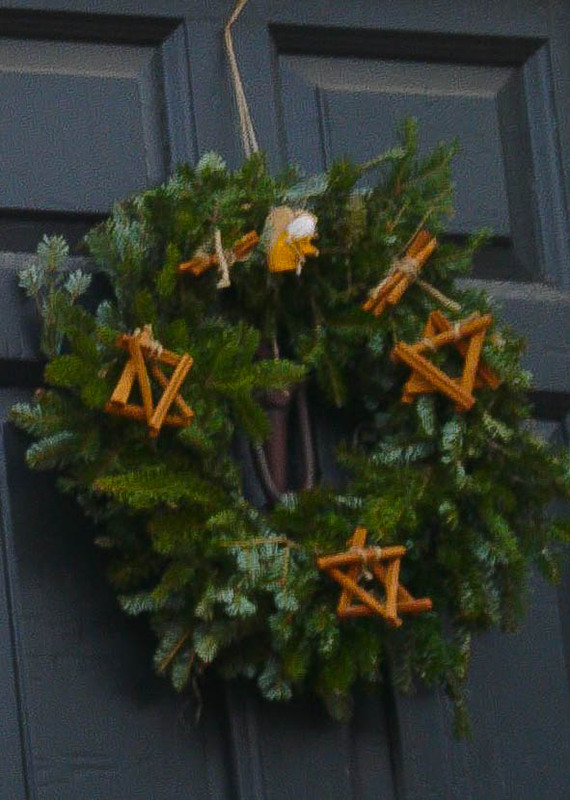 A wreath on the courthouse incorporates pomegranates and holly berries. Artichokes make this a fairly expensive window treatment. No, I wasn’t back in Hawaii; pineapple was imported from the West Indies during the colonial period. Some of the displays are thematic, like this wreath sure to attract the attention of coffee lovers; real coffee beans are strung together, and the “steam” is actually wool. 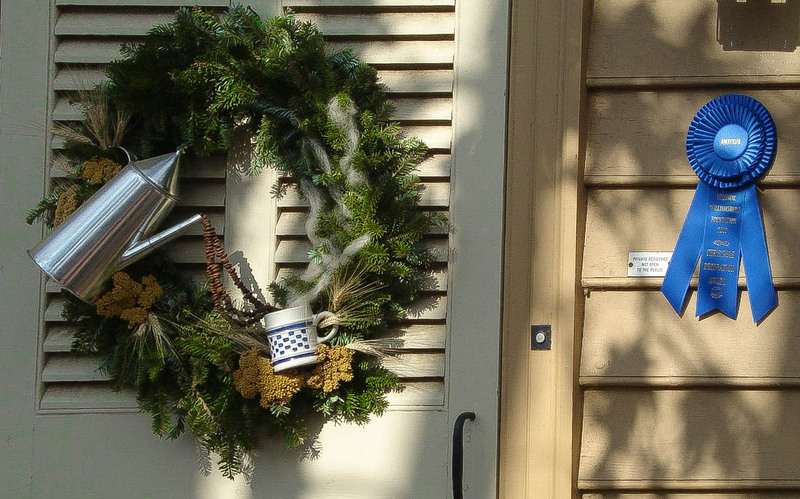 The silver of the tankards and the evenness of their arrangement in this wreath at Chowning’s (fabulous!) Tavern keeps the display from looking too tacky. Even residents who don’t celebrate Christmas find a way to get into the decorating spirit. 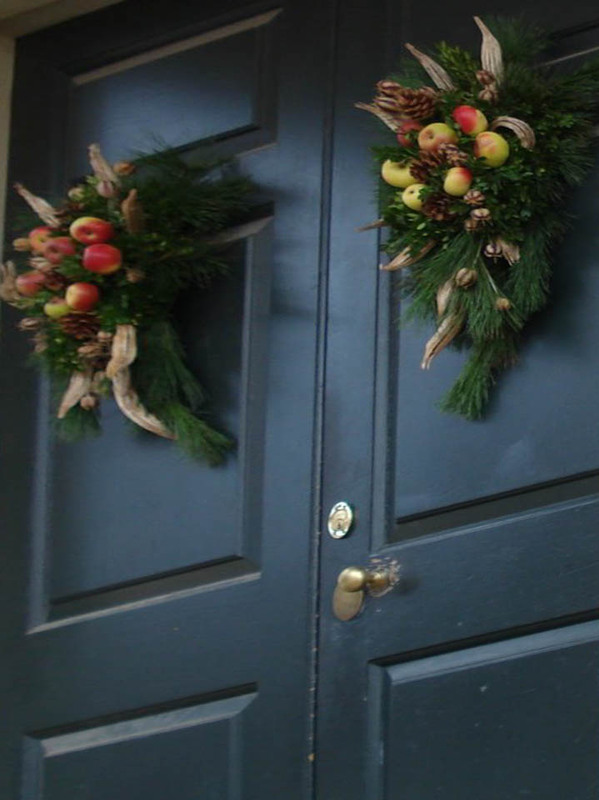 Christmas season in Colonial Williamsburg runs through January 2. I’d encourage you to visit if you can. Very nice, Leslie! Have a great Christmas!